Japanese car maker, Suzuki Motors Corporation, has announced its intention to establish an assembling plant in Ghana to start production of Suzuki vehicles to feed the company’s growing African market. The Department General Manager for the Middle East Africa Automobile Department of Suzuki Motors, Mr. Koichi Suzuki, made the announcement on the 19th of March 2019, when he led a delegation to pay a courtesy call on President Akufo Addo at the Jubilee House. According to Mr. Koichi Suzuki, the proposed Assembly Plant will be a joint partnership between Suzuki, CFAO and Toyota Tsusho Corporation. He further indicated that the partnership is seeking to replicate the success story of Suzuki vehicle production in India where it started production in December 1983. As at 2017, Suzuki produced 1.6 million vehicles in India alone and they currently have 50.30% of the vehicle Market share in the automobile industry in India. The vehicles mostly produced in India, Mr. Suzuki, said are affordable, reliable, safe and very fuel efficient and they are very accepted by the India people. “I am stationed in India and my mission is to find the next India in the continent of Africa. We came to know from Toyota Tsusho that the Ghanaian government is planning to introduce a new automobile policy. We are highly interested in participating in such an initiative made by the Ghanaian government. We wish to start production here and to expand it and grow it” Mr. Suzuki noted. The President further indicated that his administration is “interested in developing a vibrant and dynamic automobile industry in Ghana”. “You arrival here is at an opportune time. Our policy has taken some time to develop but it is ready” the President added. He urged the on going discussions between Suzuki, its partners and the Ministry of Trade and Industry to be fast tracked to ensure that the main aim of producing affordable Suzuki vehicles in Ghana materializes sooner rather than later. Suzuki Motor Corporation is a Japanese multinational corporation headquartered in Minami-ku, Hamamatsu. Suzuki manufactures automobiles, four-wheel drive vehicles, motorcycles, all-terrain vehicles (ATVs), outboard marine engines, wheelchairs and a variety of other small internal combustion engines. In 2016, Suzuki was the eleventh biggest automaker by production worldwide. Suzuki has over 45,000 employees and has 35 production facilities in 23 countries, and 133 distributors in 192 countries. The worldwide sales volume of automobiles is the world’s tenth largest, while domestic sales volume is the third largest in the country. The GJA President said contrary to the perception that the association was not doing enough, it always had the interest of journalists at heart. The Porcupine Warriors, who needed a win to qualify for the quarterfinals, threw away a one-goal lead to lose 2-1 to the Zambian side at the Levy Mwanawasa Stadium in Ndola. Kotoko stunned the host when they opened the scoring in the 46th minute through substitute Stephen Nkarko. The attacking midfielder headed into the net after Zesco goalkeeper parried a shot into his path. However, the lead lasted for eight minutes as Jesse Were restored parity with a close-range effort. Two minutes later, Kondwani Mtonga scored to make it 2-1 for the Zesco. President Akufo-Addo has assured members of the Ayawaso West Wuogon by-election Commission of Inquiry that their recommendations will be given all the necessary attention in order to avert violent occurrences in future elections. Addressing members of the Commission after they presented their report to him at the Jubilee House, Thursday, President Akufo-Addo expressed excitement the work of the Commission had finally come to an end. According to him, the Commission’s findings and recommendations “can help us advance the course of law and order in this country. “I welcome it and it will be the subject of close study. Not sure if the circumstances of this Commission will call for the issuance of a white paper on our part, but we will look at all of these matters and we will respond appropriately,” he stated. He thanked the President for setting up of the commission to investigate the cause of the violence that characterised the by-election that saw the mistress of the late Member of Parliament for Ayawaso West Wuogon Lydia Alhassan elected to represent the constituency. Members of the Commission were sworn on February 8 by Vice President Dr Mahamudu Bawumia. Tasked to probe the events of the violence which occurred during the by-election, the Commission started its public hearings at the Christiansborg Castle, Osu, Accra on February 14. The membership of the Commission was Justice Emile Short as the chairman, Mrs Henrietta Mensah Bonsu, legal luminary and jurist, and Mr Patrick K. Acheampong, former Inspector General of Police. Mr Ernest Kofi Abotsi, former Dean of the Faculty of Law, GIMPA and a private legal practitioner, served as Secretary to the Commission. Dr. John Kwakye, an economics consultant, believes the government’s short term measures to arrest the falling cedi are in order. “Currently we have a storm taking place so we need to try and calm the storm. That’s why I can understand the short-term interventions that they are talking about,” Dr. Kwakye retorted on Citi TV’s The Point of View on Monday. “The central bank intervenes from time to time to counter movements in the exchange rate that are due to temporary shocks and not due to the fundamentals because you can’t resist the effect of fundamentals but when you experience shocks, you can come and try to calm the storm,” he said. “So the macroeconomic fundamentals have improved. 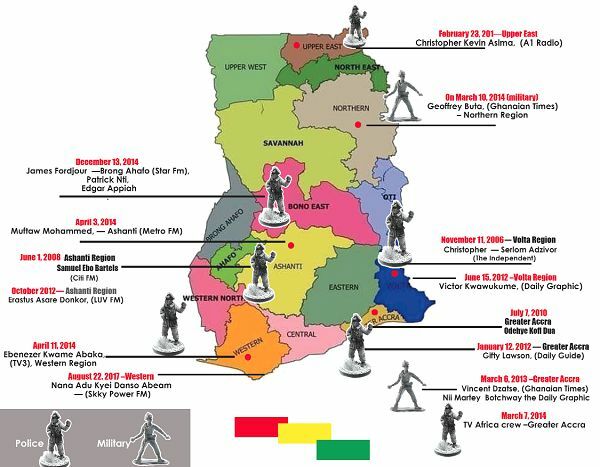 But there are structural fundamentals which have not changed,” Dr. Kwakye stated. The government expects the fresh injection of capital such as the $750 million Standard Bank bridge facility to deal with the challenges the cedi is currently facing. The government is also eyeing funds from COCOBOD and the launch of the $3 billion Eurobond. But the Minority in Parliament has described these measures as unsustainable. ment Thursday approved the issuance of a Sovereign Guarantee of up to GH₵2 billion in favour of Ghana Amalgamated Trust (GAT) Limited. GAT, a special purpose vehicle (SPV) backed by the government, was incorporated in December 2018 to raise up to GH¢2 billion and invest in five indigenous banks. The aim is to rescue the five indigenous commercial banks that failed to meet the BoG’s minimum capital requirement of GH¢400 million. The beneficiary banks are the state-owned ADB Bank and National Investment Bank (NIB). The rest are Universal Merchant Bank (UMB), Prudential Bank and OmniBank, which is merging with Sahel Sahara Bank. Already, GAT has appointed Mr Albert Essien, formerly of Ecobank and Mr Eric Nana Otoo, formerly of Goldman Sachs, Mckinsey and Duet as its Board Chairman and Managing Director (MD) respectively. GAT has committed funds from pension funds and other investors, through a bond programme, with proceeds of up to GHS2 billion to be used for equity investment in the eligible indigenous banks, as determined by the investors. The bonds issued to the Pension Funds will be listed on the Ghana Fixed Income Market (GFIM) for liquidity purposes. The debate on the approval of the GHc2 billion was concluded last Wednesday but the approval was deferred because of a lack of a quorum. The Majority Leader, Mr Osei Kyei-Mensah-Bonsu, requested for the suspension of the approval for lack of a quorum following the indication by the Minority Leader, Mr Haruna Iddrisu, that the Minority side would not partake in a decision to approve the facility. The debate on the facility followed the presentation of a report by the Finance Committee, which recommended by majority decision, the approval of the special purpose vehicle (SPV). During the debate, the Majority and Minority sides disagreed on the objectives of the SPV as well as the commitment of the government to support local banks. The Majority side led by the Minister of Monitoring and Evaluation, Dr Anthony Akoto Osei, argued that the government wanted to save the local banks to ensure the continuous participation of local banks in the country’s banking sector. They said all the banks were Ghanaian owned with Ghanaians as majority shareholders, which required of the government to support them to meet the minimum capital requirement. But the Minority members led by their leader, Mr Iddrisu argued that they did not believe that the solution to supporting local banks lay with the SPV as the country would not get value for money from it. The Minority Members of Parliament wondered why the government would not capitalise the banks but was rather relying on another body to support the banks. They said such an arrangement would allow the private entity to take over the ownership of the local banks with its 30 per cent stake. Again, the Minority Members said the government had failed to provide the agreements signed by the Board of Directors and shareholders of NIB and ADB supporting the use of the SPV. 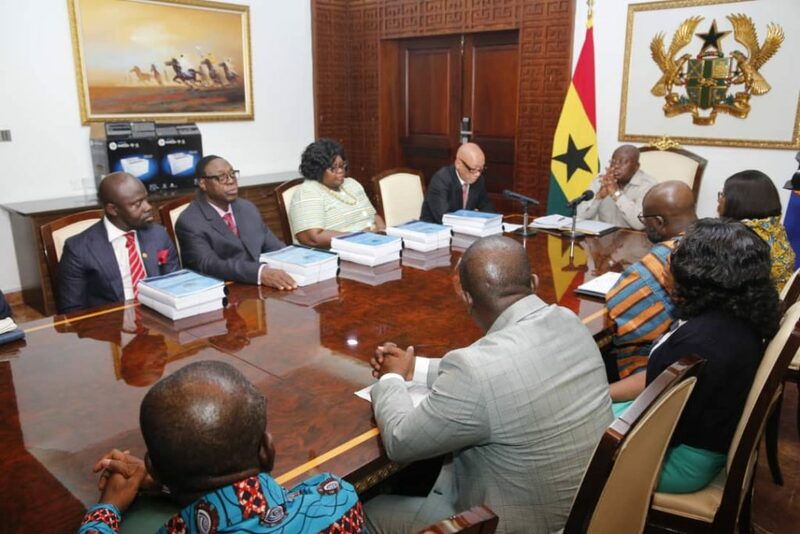 The Minority members also argued that managers of local banks had requested the government to give them time to raise the GHc400 million minimum capital requirement which had been increased from GHc120 million but the government declined. Responding, the Minister of Finance, Mr Ken Ofori-Atta said the SPV was an attempt by the government to support local banks to be competitive in the banking industry.